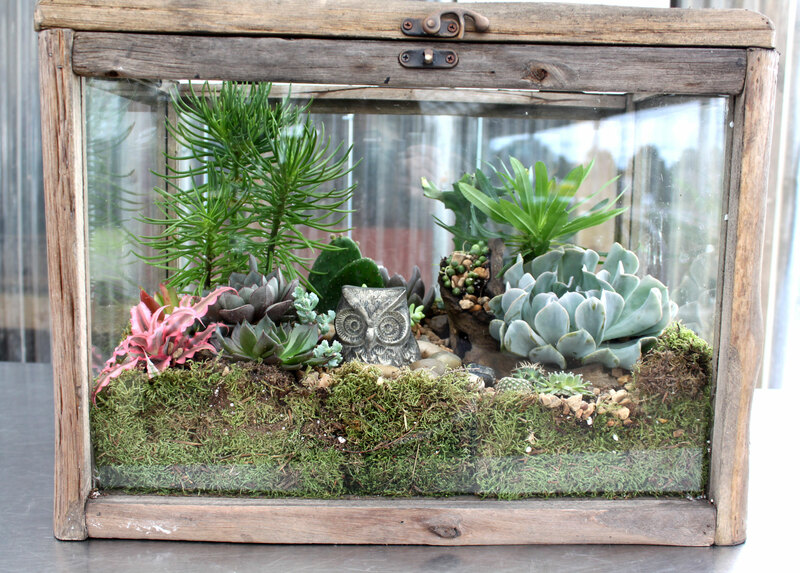 Don’t be intimidated by the thought of making a terrarium! Start small and build up to something larger, like Sarah’s creation this week (pictured below). First time making a terrarium? Start small, and work your way to something bigger, like this beauty we made this week. Also, feel free to follow along as you create with our step-by-step video on how to make a terrarium. Visit any of our locations for the complete list of supplies to get your terrarium project started. Good luck in the garden!